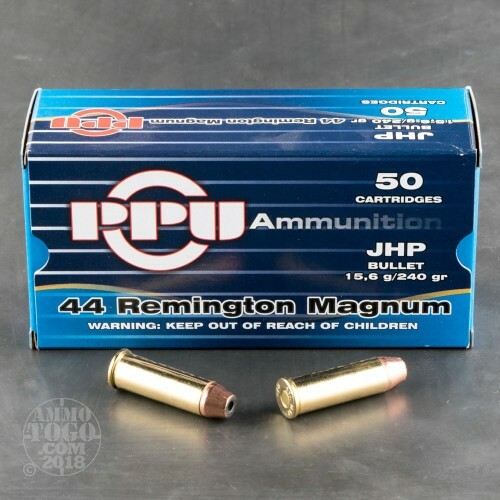 Brass cased, boxer primed, and 100 percent non-corrosive, this Prvi Partizan .44 Magnum ammunition offers excellent value. Each new production cartridge is loaded with a 240 grain jacketed hollow point (JHP) projectile. 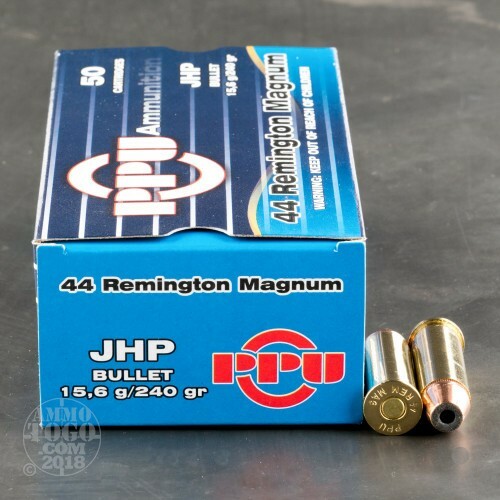 Delivering impressive terminal expansion with a reduced risk of over penetration, these JHP rounds work well for personal protection applications. 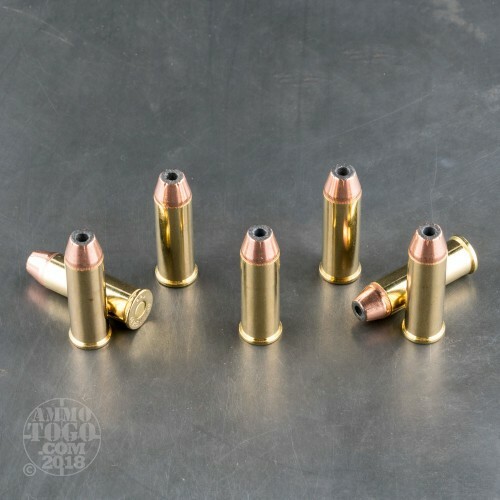 With a high-quality copper jacket, these rounds also offer reliable feeding into the chamber and smooth function in all pistol types. Each round produces a muzzle velocity of 1541 feet per second and a muzzle energy of 1272 foot pounds. All Prvi Partizan ammo meets SAAMI standards and undergoes stringent internal quality control systems to ensure consistency and dependability. Prvi Partizan, located in Užice, Serbia, has been supplying ammunition to Serbian military and police forces since 1928. Prvi Partizan has a modern production facility and produces products that rival those from other respected and well-known manufacturers. 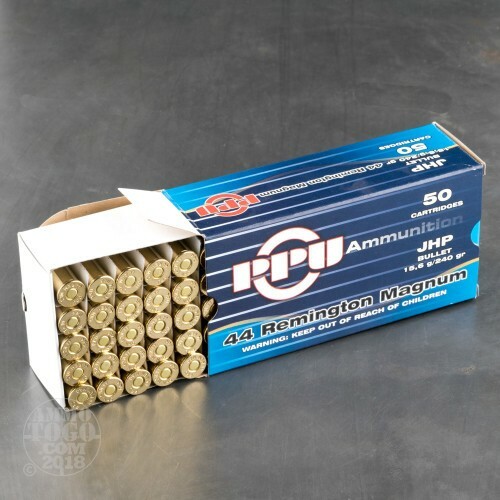 This ammunition comes packaged in 50-round boxes.